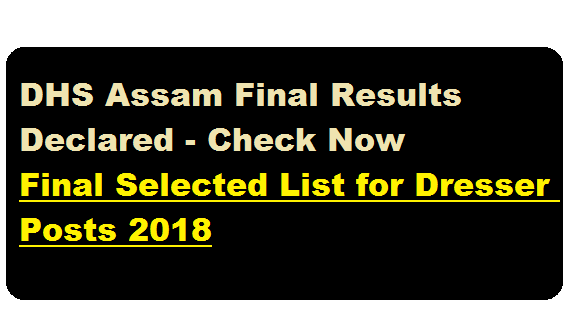 DHS Assam Final Results – Check Final Selected List for Dresser Posts 2018 :- Director of Health Services Assam has published final list of selected candidates for the post of Dresser. 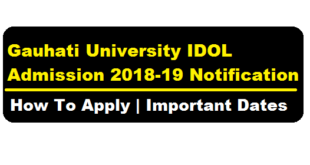 According to a latest DHS notice, It is information of all concerned that the list of selected candidates for the Dresser Post under Director of Health Services, Assam(including Model Hospitals) Recruitment has been published. The reference and date of the recruitment advertisement is Janasanyog/D/10846/17, dated – 16.12.2017 and Janasanyog/D/14145/17, dated – 06.03.2018. 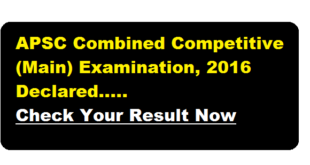 Well at Assam career, to help candidates we have shared the official selection list where you can check your result. 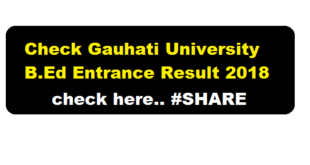 The result document contains the selected list of Candidates and those who are selected may proceed to follow further instrction. Selected candidates may collect the appointment letters from the office of the Director of Health Services Assam, Hengrabari, Guwahati from 3rd October 2018.